Werner Lieberherr, the new CEO of Mann+Hummel. The Mann+Hummel board has appointed Werner Lieberherr as the filter company’s new chief executive officer. Lieberherr comes to Mann+Hummel from Rockwell Collins Inc where he has served as executive vice president and chief operating officer of Interior Systems since April 2017. He had previously been president and CEO of the publicly traded B/E Aerospace Inc, which Rockwell Collins acquired last year. Earlier in his career, Lieberherr spent 16 years in management positions in the energy industry at ABB and Alstom Power Inc.
Lieberherr holds a degree in Technical Management and Operations Research from ETH Zurich and a Master of Business Administration from the Kellogg Graduate School of Management in Chicago. Lieberherr succeeds Alfred Weber who left Mann+Hummel earlier this year. The Pro ATEX series can be used with flammable gases, vapours and mist. Mann+Hummel finalises its acquisition of USA-based air filtration company Tri-Dim Filter Corp.
Flexline air filters are now available for the Mercedes-Benz A and B Class. 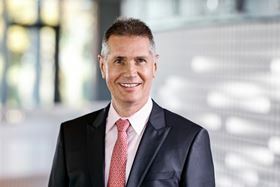 Mann+Hummel Group CEO Alfred Weber has left the company at his own request.